14460 Falls of Neuse Rd. Please click on the link below to see the Your Travel Memories press release! Every month, come visit us here and learn about a new destination! A virtual journey to a wonderful location and possible future travel opportunity! The capital of Portugal, Lisbon has experienced a renaissance in recent years, with a contemporary culture that is alive and thriving and making its mark in today's Europe. Perched on the edge of the Atlantic Ocean, Lisbon is one of the rare Western European cities that faces the ocean and uses water as an element that defines the city. Lisbon enchants travelers with its white-bleached limestone buildings, intimate alleyways, and an easy-going charm that makes it a popular year-round destination. The city stretches along the northern bank of the river Tejo as it flows into the Atlantic Ocean. As the terrain rises north away from the water, steep streets and stairways form the old tangled districts or give way to green parks in the western suburbs. From imposing São Jorge Castle, the view encompasses the old city’s pastel-colored buildings, Tagus Estuary and Ponte 25 de Abril suspension bridge. Nearby, the National Azulejo Museum displays 5 centuries of decorative ceramic tiles. 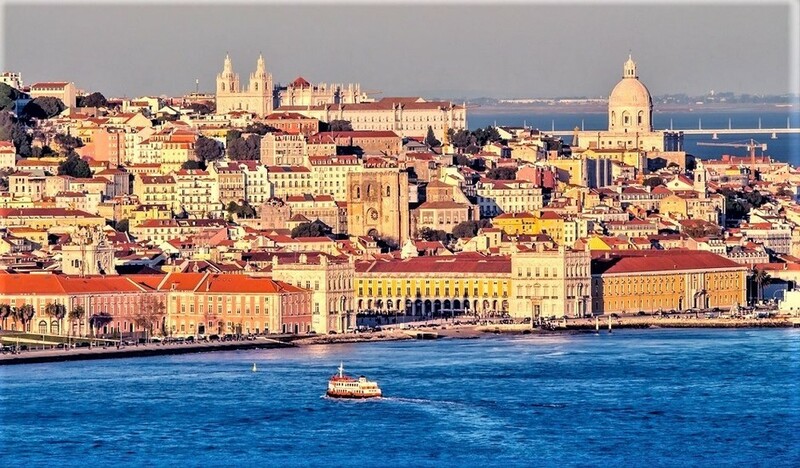 Lisbon enjoys a warm climate with mild winters and very warm summers. Strongly influenced by the Gulf Stream, it is one of the mildest climates in Europe. Among all the metropolises in Europe, here are the warmest winters on the continent, with average temperatures around 15°C (59°F) during the day and 9°C (48°F) at night in the period from December to February. Snow and frost are very rare. The typical summer season lasts about six months, from May to October, with an average temperature of 25°C (77°F) during the day and 16°C (61°F) at night.